Are you tired of yo-yo dieting and trying to lose weight yourself, only to slip back into bad habits? Gaining assistance in your weight-loss efforts can prove transformative. Fast Clinical Weight Loss in Indianapolis, Indiana, operates a physician-directed weight-loss program led by Gregory Oliver, DO. You’re in the hands of a medical professional. Call or book an appointment online today to see how the Fast Clinical Weight Loss program can make a difference in your life. What is the most effective approach to weight loss? A scientifically based approach to weight loss helps ensure results. Fast Clinical Weight Loss includes the elements of nutrition, a clinical approach, and medication, which work together as a trifecta to help you achieve your goal. What is the first step in a physician-directed weight-loss program? The goal of the staff at Fast Clinical Weight Loss is to find out what is causing your excess weight. Once Dr. Oliver uncovers the underlying reasons, he designs a plan to reverse the disorder and help you achieve your optimal weight. He not only performs a complete physical examination, which includes metabolic and hormonal function — he also evaluates current diet, activity levels, and the motivations of each new patient. Treatment plans vary depending on your individual needs. What are the benefits of this approach to weight loss? Dr. Oliver is a board-certified physician who has advanced knowledge of how your body systems work together — skills that lay providers don’t have. As a physician, Dr. Oliver bases his program on medical and scientific evidence. You lose weight the natural way and avoid risky and painful surgery. Understanding your attitude toward food goes a long way toward changing dysfunctional patterns. 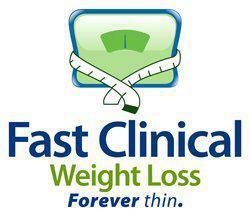 The counseling and coaching that Fast Clinical Weight Loss provides helps you stay on track. Because services are medical-based and physician-directed, your health insurance may cover initial screening and counseling visits. Dr. Oliver can share evidence from many satisfied clients. What results do you see from your weight-loss program? Dr. Oliver’s patients typically lose 12-20 pounds during the first month when they adhere to the treatment protocol. Dr. Oliver monitors you but also has a health coach to guide and monitor your treatment and progress. Your health coaches make adjustments regularly based on your response to treatment. How important is continuing care after weight loss? Once you reach your optimal weight, Dr. Oliver and your health coach provide long-term maintenance advice and treatment to keep obesity in remission. If you gain back 5% of your new healthy weight, the Fast Clinical Weight Loss staff considers it a medical emergency and gets you back on the treatment plan. Though the approach is clinical, the staff is kind, caring, and empathetic. They want you to experience a positive, safe, and beneficial experience. Call or book an appointment online today for a consultation on how Fast Clinical Weight Loss can help you reach your goal.